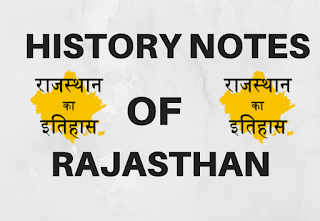 History Notes Of Rajasthan For RAS Exams – If you are from Rajasthan then you will be happy to know that the Rajasthan Public Service Commission has given the notification of the Rajasthan Administrative Service exam. Young people in Rajasthan have a good chance to become RAS Officier. Today we will give you a pdf file of state history. In Rajasthan Administrative Service exam, there is a lot of questions about the history of Rajasthan.